Volume Nine of Text-Sound Compositions (FYLKINGEN RECORDS FYLP 1040) showcases recordings and performances from 1972. Christer Grewin opens the set with ‘Dialogi’. 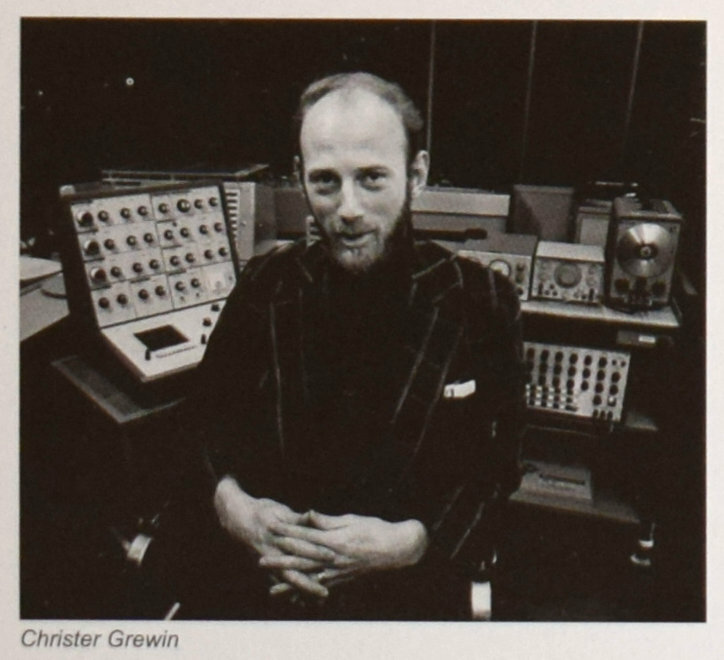 It happens to have been recorded at the Polish Radio Experimental Studio, which is unusual considering that Grewin was an important technician at EMS when it was part of Swedish radio, and he built up a considerable set of skills in the studio and the field since 1962. I say important, because he helped a lot of composers to realise their ideas, which was crucial during a relatively naïve period when the technology barriers and practical difficulties were far more challenging than they are now. The liner notes point out how without Christer’s skills, a large number of compositions would simply not have been realised at all. 1 He made his own works too, and ‘Dialogi’ is an understated jewel, an ambient mood piece with spoken-word interpolations. To put it another way, he uses interventions and hard edits to scramble meaning, and thereby undercut the continuity and meaning of a recorded conversation. Some phrases are detourned into near-musical singing. As befits this unique craftsman, the realisation here is technically very accomplished, making use of studio echo, editing, and loops to create strong and distinctive textures. English titan Bob Cobbing again distinguishes himself with 12 minutes of ‘Sha Ma Na’, a live performance vocal piece he realised with Lillemor Lind and Ewa Svensson. A roaring, half-sung piece of lovely gibberish tumbles out like an organic force of nature, a cross between a tidal wave and an old tree stump. The trio chant, they bark, they whisper with passion and feeling. The notes here describe this lumpy monster as “directly performed, partly improvised”, which did set me thinking. The interaction on offer here is enough to put many traditional improvisers in the doghouse, yet Cobbing’s place in the history of UK free improvisation has not been researched or written about at length, as far as I know. Was he ever invited to Company Week, and if not then why not? Maybe Cobbing was too much of an ornery loner to subscribe to Bailey’s unspoken strictures and shibboleths. The title of this piece can be read as a reference to shamanism, an area of primitive religion where many dabblers dip their toe, but few come out of the pool with any credibility intact. Maud Reuterswärd & Bengt Nyquist have concocted a highly effective nightmare piece about Vietnam, ever a popular topic for radical artists of the 1960s. ‘16.3.68’ uses quite deliberately shocking vocals effects to convey horror, outrage, and futility, contrasted with moments of serenity and calm to lull the listener into a sense of security. This short piece is a match made in Heaven between an author (Reuterswärd) and a technician (Nyquist), and the very mics of Swedish Radio bowed down before them. The specific incident that triggered this piece was the Son My massacre (more popularly known as My Lai), understandably a frequently chosen theme for creators making radical protest works about Vietnam. Few such works are as heart-stoppingly direct as this one, though. 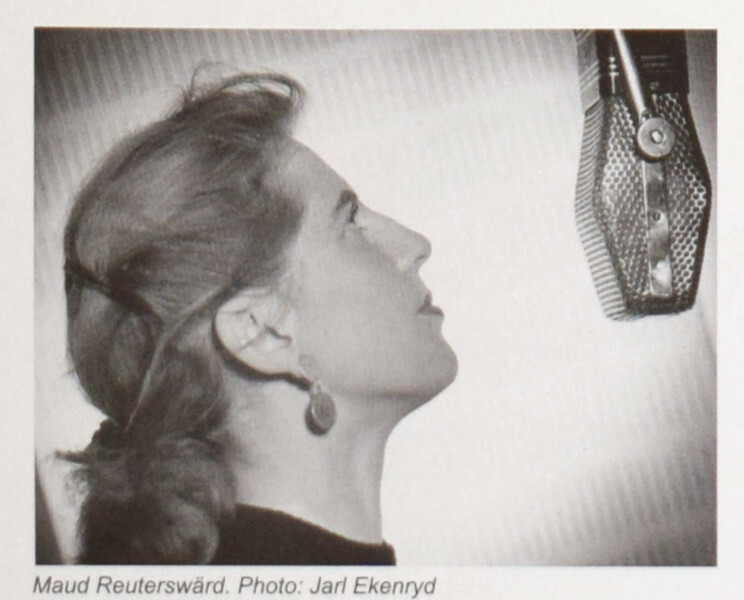 Maud Reuterswärd goes for the jugular, reminding the listener of our own humanity in a way we can’t ignore. 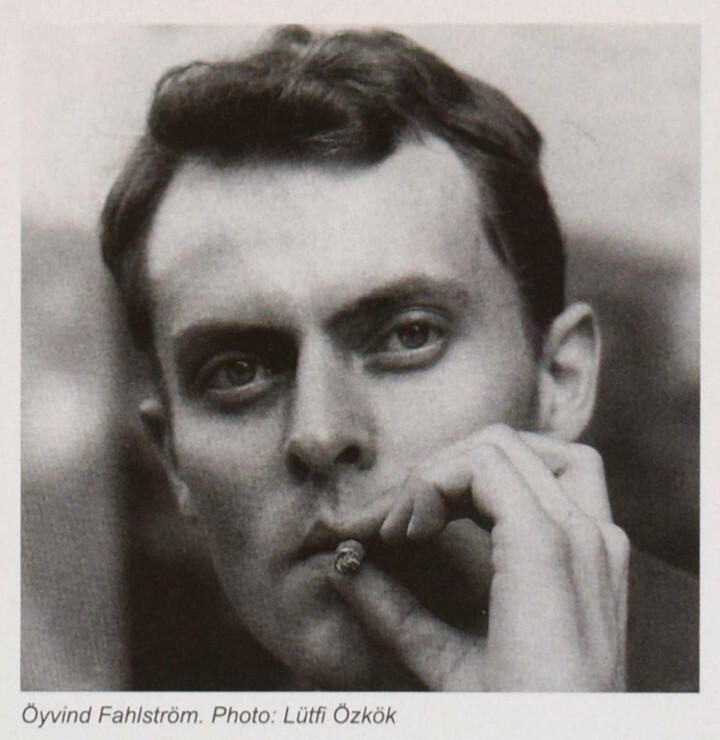 Öyvind Fahlström was a well-known visual artist and perhaps one of Sweden’s more famous exports…he was associated for a time with American Pop Art, and indeed the first time I saw his name in print was a caption for one of his Krazy Kat mobile-painting pieces, derived from George Herriman’s comic strip. 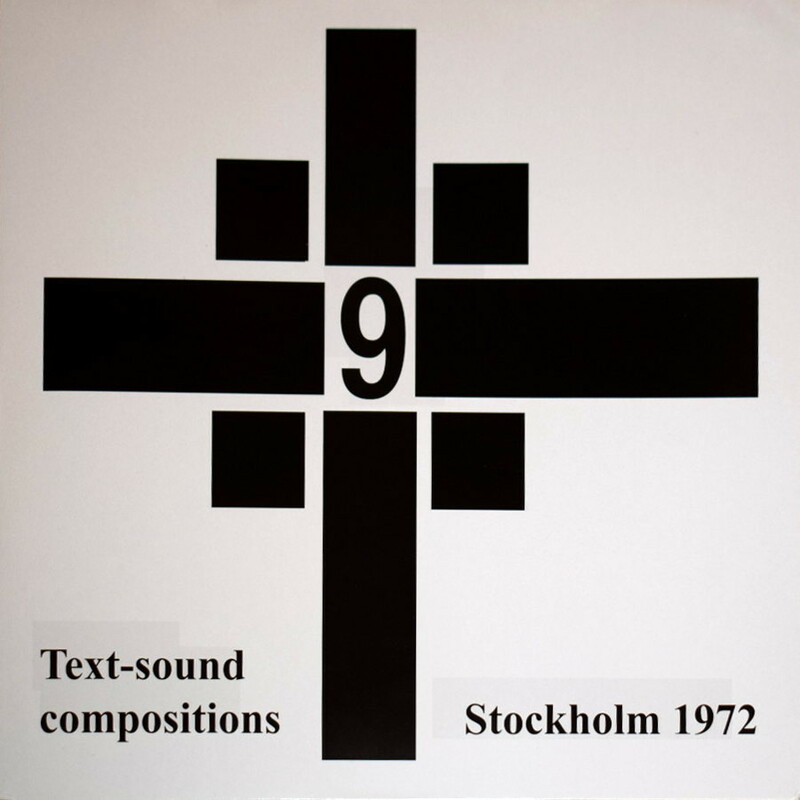 But before that he was a pioneer of concrete poetry and electronic music in Sweden in the 1950s, and regarded by many as a major influence on the sound-poetry genre. Here on the LP we have his piece ‘The Difficult Journey’, originally written in 1954 and first published in a book in 1966. This “piece for mixed speaking-choir” delivers an unusual combination of free-form vocalising and singing, although it comes over a tad too “arty” for me. This might be because it’s a “proper” choir doing the performance (Camerata Holmiæ), trained singers who have a tutored approach to dynamics. The American Charles Amirkhanian closes out this LP with a couple of three-minute gems. I’ve got a copy of his Lexical Music LP, containing numerous early 1970s compositions, which I don’t play often enough. 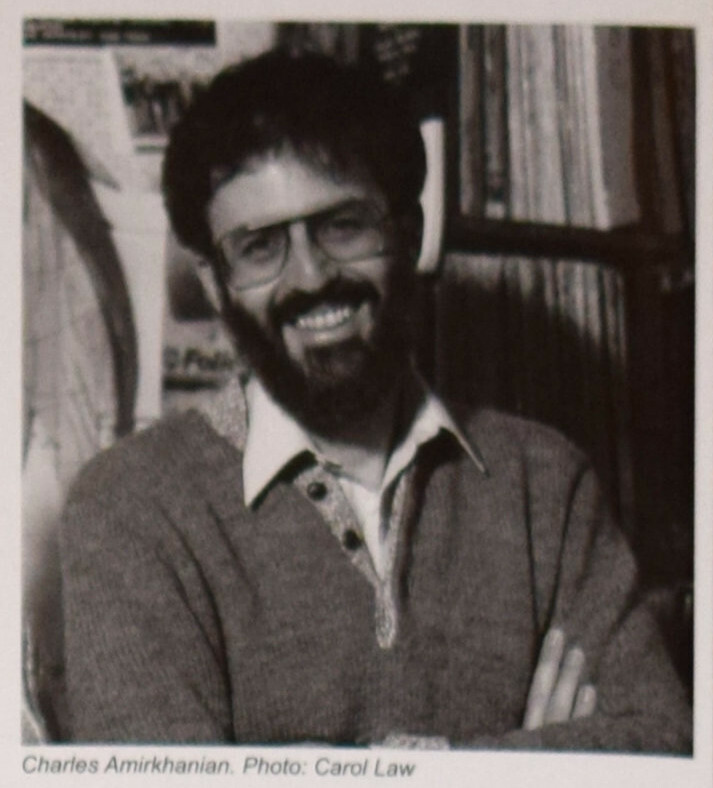 Not just because of his speaking voice and his confident grin in the photo here, his American presence asserts itself almost at once in this company, especially where many of the other creators on this LP has a very ambiguous and exploratory feel to their work. Amirkhanian’s pieces are evidently structured in a way that most of what we heard so far is not. ‘as erson’s onal tte’ makes clever use of overdubs to create simultaneous read-through of three separate poems, to produce a rush of complex information. The poems themselves also used a composed, near-Cagean method in their construction, deleting selected letters from found texts and compressing words into nonsensical strings (though this method also feels a bit Lettrist in its approach). On ‘Sound Nutrition’, the work is again quite structured, this time made by cutting up some rather unlikely found sources (promotional announcements from the Dairy Council of California) and arranging the edits very thoughtfully. In both cases the deliberation is reflected in Amirkhanian’s very assured speaking voice and confident delivery.